Today, the UTG offices are pleased to share with you a brand new track from Swingin’ Utters, titled “I’m Not Coming Home.” The track comes off of Swingin’ Utters’ upcoming album, Fistful of Hollow, and it’s every bit as fun as you’d expect. The song brings their definitive West Coast punk vibe right off the bat, and is the perfect soundtrack to driving to the beach, or just away from anywhere you don’t really feel like being. You can pick up Swingin Utters’ new record Fistful of Hollows off of Fat Wreck Chords’ website here, or while they’re on tour with Lagwagon in the upcoming months. We’ve included the tour dates for you after the break, just to make your life even easier. 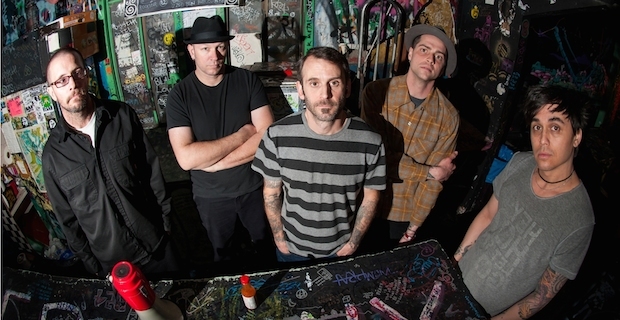 Enough talk; click through the break to check out the brand new track from Swingin’ Utters, and let us know exactly what you think in the comments section.